Home / Collection / Casual Clothes"
At Hope Special Sizes, you can peruse the coolest, most fashionable casual mens shirts designed with the bigger chap in mind. With wider measurements and more accommodating dimensions, our big mens casual shirts are designed to be both comfortable and stylish, allowing you to feel good in accommodating, flattering clothes that look spot on. 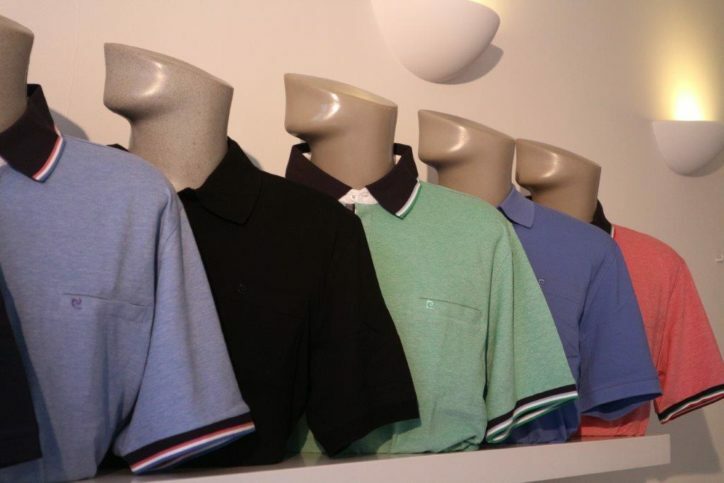 Whether you need big mens casual shirts for work, the pub or simply relaxing at home, we are constantly updating our collection. Take a look and discover great prices and special discounts to boot. Big savings on big shirts! Striped, dotted, plain, plaid and patterned, we’ve a wide variety of styles of casual shirts in our store in Amsterdam.Whatever you’re after, we’ll stock it, and in a size that fits you just right – our shirts are specially designed to accommodate the needs of the bigger gentleman and in sizes from 2XL to 6XL. Or perhaps you are looking for something a little smarter? Check out our great range of formal shirts. Do you need sharp and trendy casual shirts so that you can bring a little style to an event, without getting too formal? We offer clothes for the big and tall men for every occasion. Do you have questions concerning our casual wear or special sizes? Do you want to know which items are in stock? Just call us on 020-6274913 and are there to help you!